‘Now we are descending over beautiful flat ground’ … The view from the winning basket this morning. 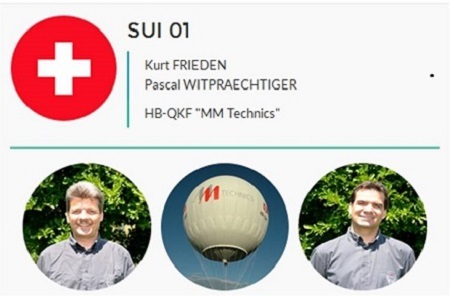 Team SUI-01, Kurt Frieden and Pascal Witpraechtiger, have won the 60th Coupe Aéronautique Gordon Bennett. They reached central Greece after a flight around 1,803.48km and touched down shortly before 10.30am CEST. They spent an hour or so drifting low for several kilometers, which saw them break through the 1,800km mark. 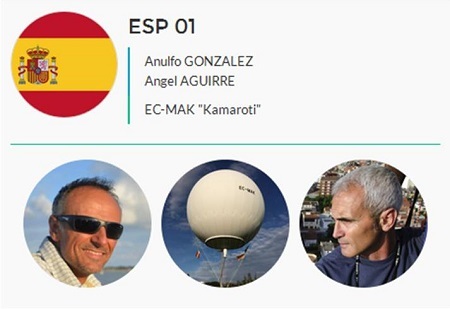 The two pilots played a clever game yesterday afternoon and evening as they positioned themselves a little way further north than Teams SUI-02 and ESP-01. SUI-02 and ESP-01 had been leading the charge south, but landed in the very south of mainland Italy at 1.30am today. Ahead of them was a long sea crossing, which both teams must have assessed was a step too far – they landed within 5km of each other. Team SUI-01’s line meanwhile, took them on the shortest route across open water. It meant they had more security and could reach land more quickly. They brushed the town of Leuca on the heel of Italy before crossing the sea to connect with Corfu. 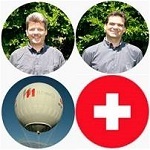 Both pilots in Team SUI-01 are experienced gas-balloonists and Gordon Bennett pilots. 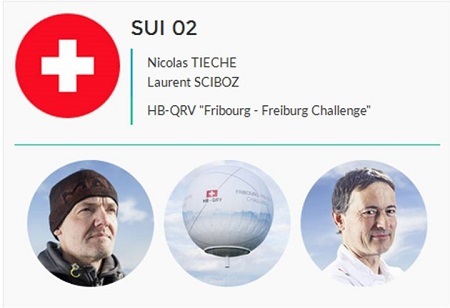 Pascal Witpraechtiger, 41, has flown in the race seven times, and Kurt Frieden, 47, has competed 19 times. This is the second win in a row for the team. They won the race last year with a flight of 2,080km, which took them from Pau in France to Jaczno in Poland. Once packed the team will face a long drive back to Gladbeck in time for the medal ceremony at the end of this week – it’s a 24-hour drive or a four-hour commercial flight, covering 2,342km on the road. 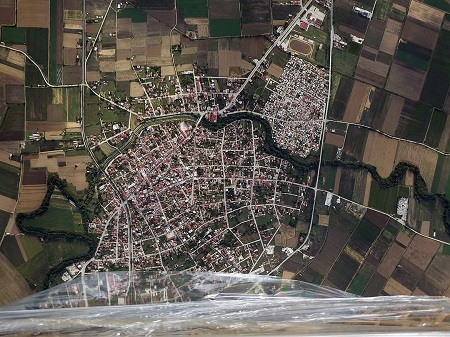 This entry was posted in Balloons, Championships, Gas Balloons and tagged Coupe Aéronautique Gordon Bennett, FAI World Long Distance Gas Balloon Championship, gas balloon, Gladbeck Germany. Bookmark the permalink.